Roses and tomatoes. Though it may sound like an odd pairing, the two species actually have quite a few cultural requirements in common. 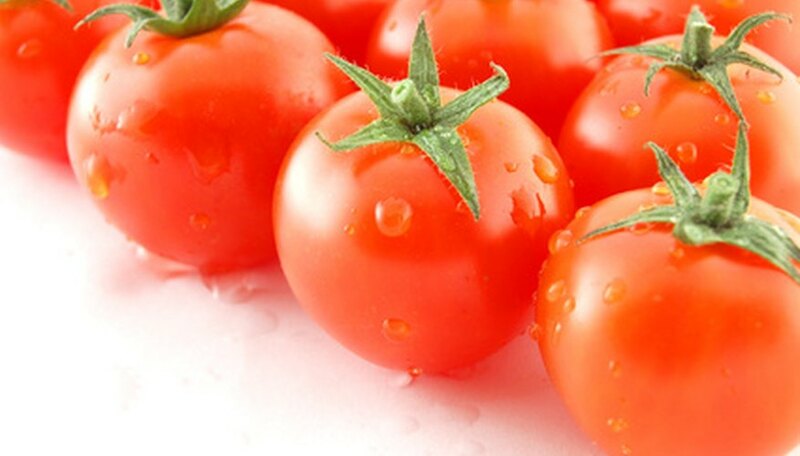 Both perform best in full sun, in nutrient-rich slightly acidic soil that is consistently moist but not wet. Tomatoes are said to prevent the incidence of black spot in roses. Tomatoes plants should be put into the garden in spring after the last threat of frost has passed. Bushy green tomato plants can also help camouflage the bare lower canes of rose plants in the summer and early fall. The organic fertilizer preferred by roses will complement the nutritional needs of the tomatoes. Harvesting fresh-cut flowers and ripe tomatoes from a shared location can be a very efficient use of soil space. Prepare planting holes for the young tomato plants that are twice as wide and deep as the root mass of the tomato. Dig the holes at least 12 inches out from the main rose trunk to avoid disruption of the core root mass of the rose. Plant tomatoes in front of or on the flanks of the rose or plant them in a wide ring to surround the rose plants. Ensure that there is direct sunlight or filtered sunlight hitting each tomato plant and enough space between all of the plants for good fresh air flow. Loosen the soil in the holes and till in several handfuls of compost into each hole. Place a single tomato plant in each hole and firm the soil around the roots to make good contact and hold the plant upright and secure in place. Repeat the process for each tomato plant. Water in each plant very well until the immediate soil area is drenched but there is no standing water. Fill in any collapsed air pockets or divots in the soil with a bit of the leftover compost. Maintain evenly moist soil at all times, watering deeply once every three to seven days depending on your climate. Maintain your regular organic fertilizer regimen for your roses and increase the amount of fertilizer applied only if the tomato or rose plant performance seems weak or the growth rate is unusually slow.